Scary flicks made Finn Wolfhard famous -- but comedy may be his true calling. 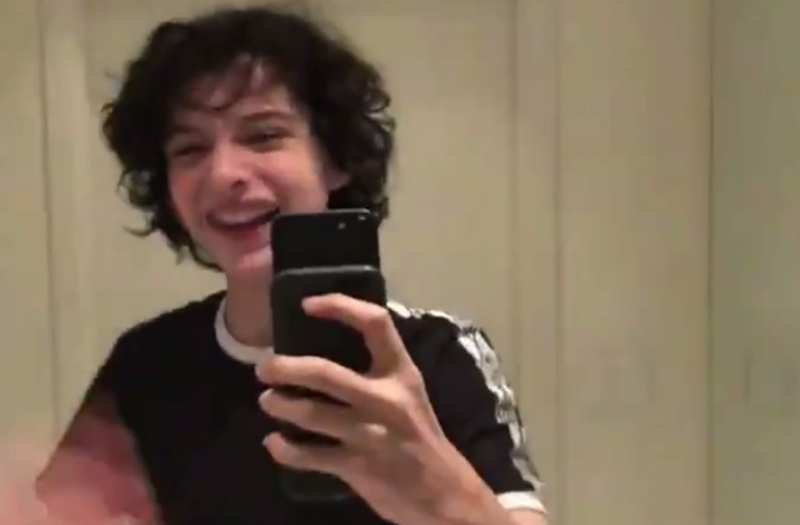 The 14-year-old, known for his starring roles in "Stranger Things" and "It," posted a short video on Twitter Monday afternoon that went viral almost instantly, racking up nearly 40,000 retweets and 135,000 likes in less than 24 hours. The one-minute clip -- "Middle aged business man who finds out vlogging is a thing" -- was filmed in a hotel bathroom mirror: "Sup guys! Day one of vlogging," Wolfhard begins. "Just woke up in the bathtub. Also, did I mention I just woke up in the bathtub? That's because my ex-wife Karen put me out, took the dog, took the house, and now I'm staying in the bathtub." Wolfhard his (also quite young) "Stranger Things" co-stars are making the media rounds this week as Netflix prepares to debut season 2 of the hit show. The teen somehow also manages to balance a budding music career with band Calpurnia, which will release its first album next year.